The below pictorial assumes you know how to handle a soldering iron. The wiring of the washer pump is defective. 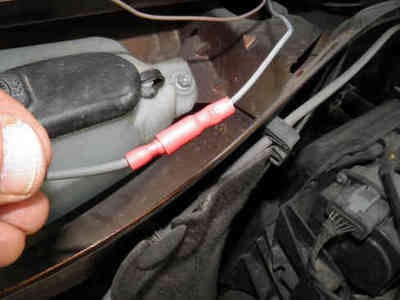 The washer pump is either located inside the fender or below the windshield like it is shown here, a Dacia / Renault Duster in this case. 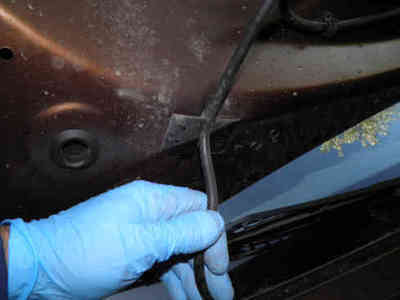 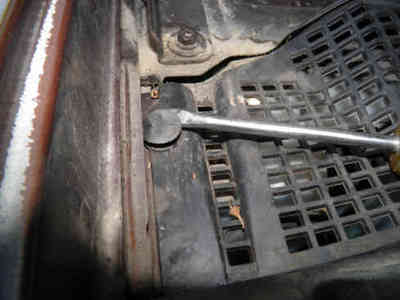 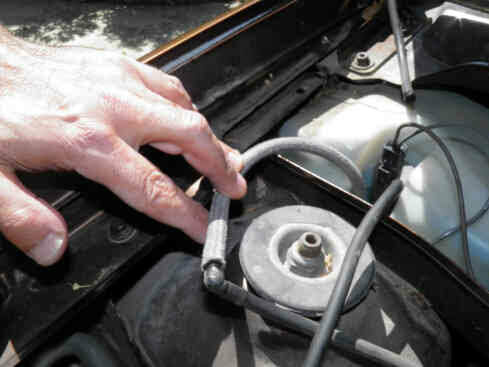 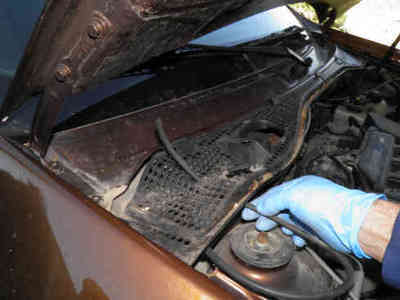 ​If it is inside the fender like in this picture, visit our page for inner fender mudguard removal to access the pump. 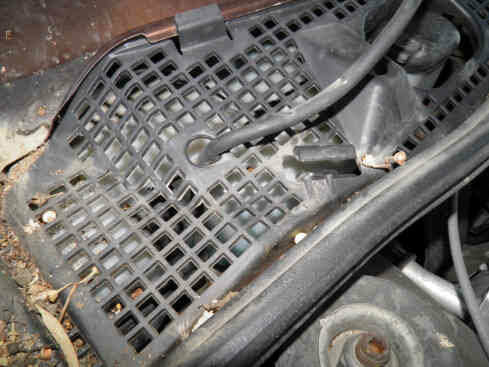 ​The grille below the windshield is first cleaned from tree leaves, debris, etc. 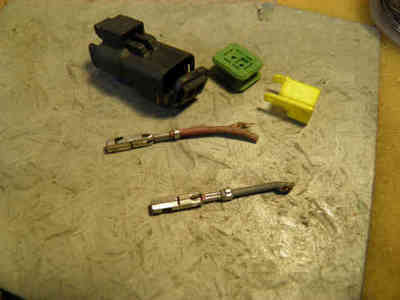 with compressed air (middle). 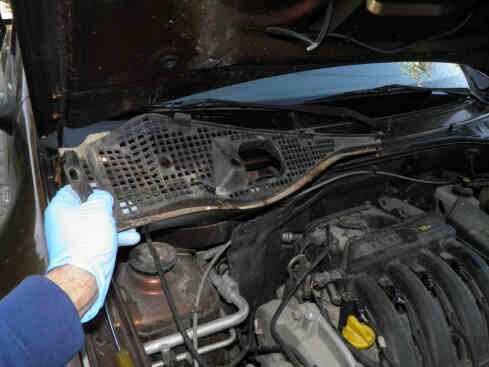 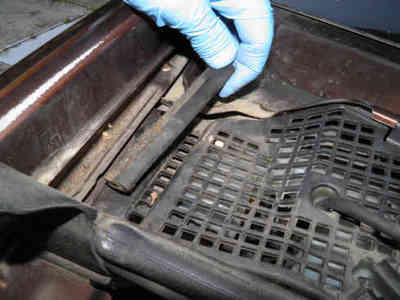 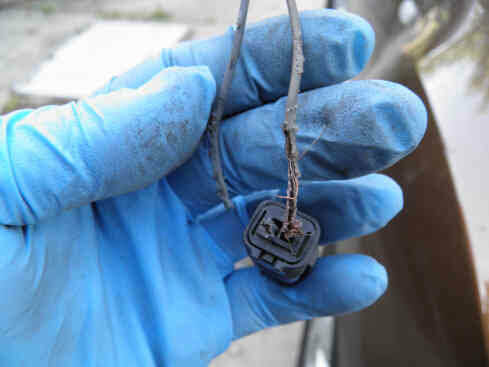 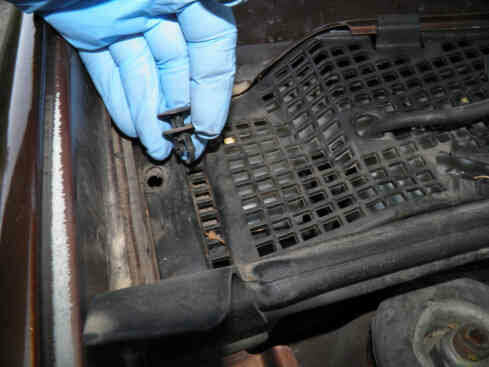 The dismantling starts by removing whatever blocks the grille removal like this small rubber seal (right). 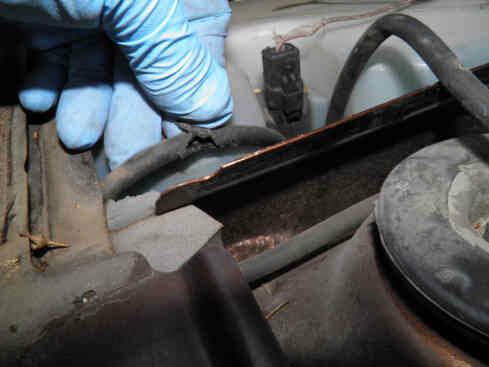 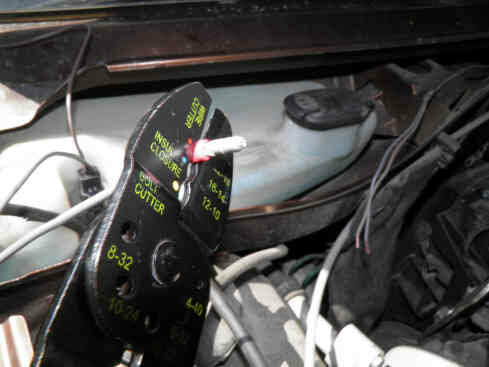 The retaining clips are then removed and the same for the rubber seal below the hood (right). Detach now the washer hose from the T that distributes it to the washer nozzles and from its supports in the hood and on the grille. 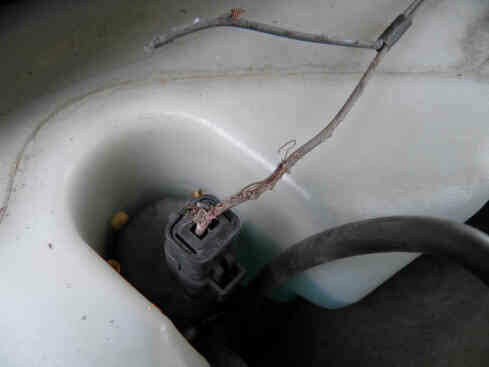 The wiring of the pump is badly worn and its insulation damaged: no doubt it's a mouse attack! 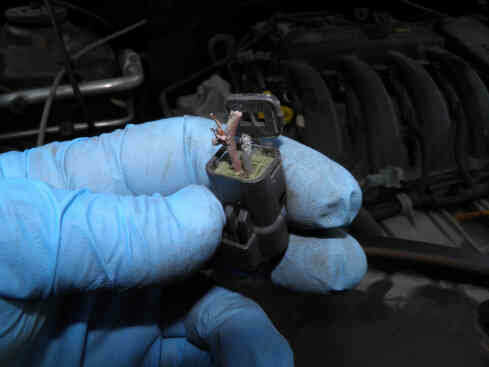 The mouse also tasted the rubber hose sending the washer liquid to the wiper of the rear window. 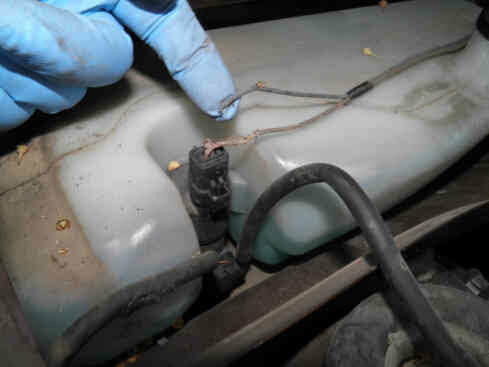 The missing insulation and the traces of teeth on it are typical to mice and rats. 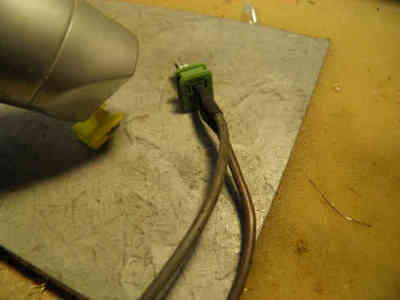 A rat cannot access this pump but a mouse can! 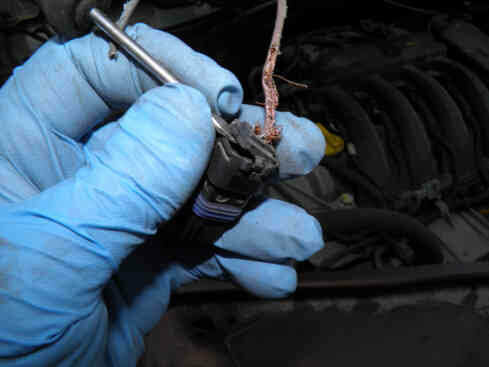 Cut the damaged portion of the wires and remove them along with the connector. 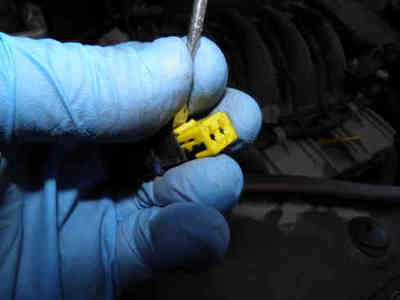 Use a 3 to 4 mm slotted screwdriver to open the connector and take out the small plastic cap. 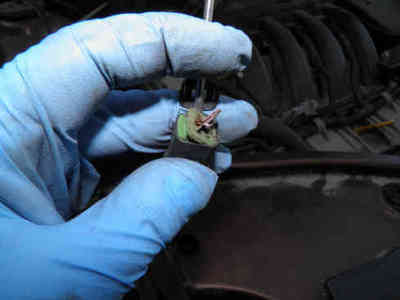 Remove the silicone seal (green color, left picture). 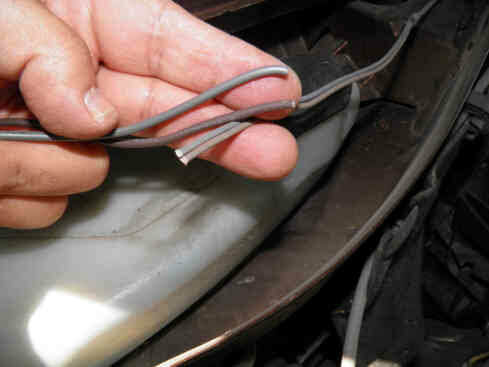 Your wires are now free as shown in the middle picture but still hold to their terminal pins. 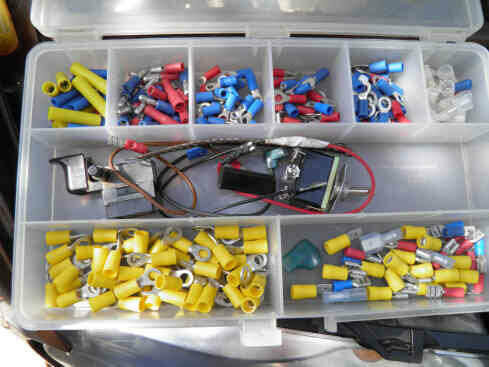 Take out the terminal pins holder (yellow color, right picture) and push the pins out with your screwdriver. It is very difficult to extract the pins without damaging the small plastic "legs" that do hold them in place inside the connector but this is OK. 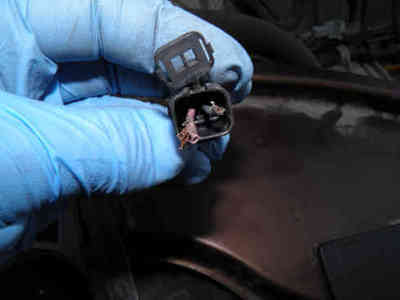 The connector can still be assembled as shown further below even with little damage. Solder new wires of the same color to the small piece of wire that is still crimped to the terminal pin. 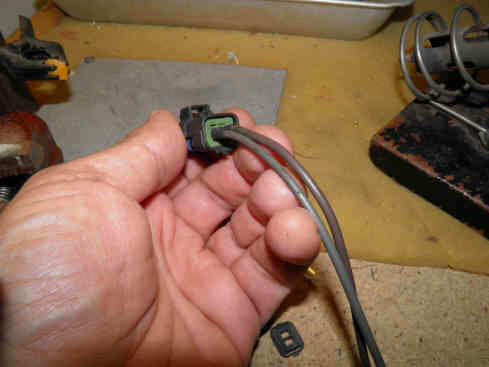 Insert them into the silicone seal and insert a heat shrink sleeve on top of each soldered joint. 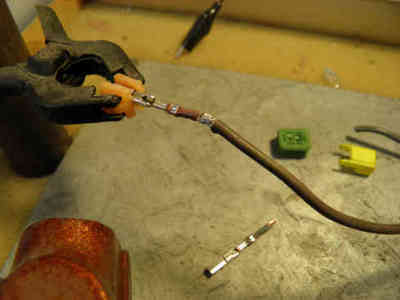 Use a heat gun or hair dryer to shrink the sleeves and reassemble your connector. 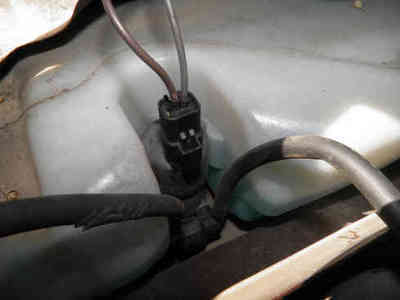 Plug the connector into the pump. Now the new wires need to be connected to the ones in the vehicle. 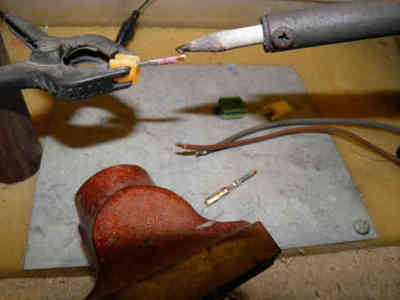 Small crimping lugs are used. 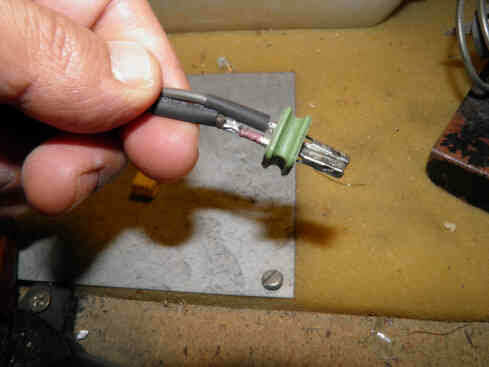 Male and female terminals are crimped then the wires assembled together. 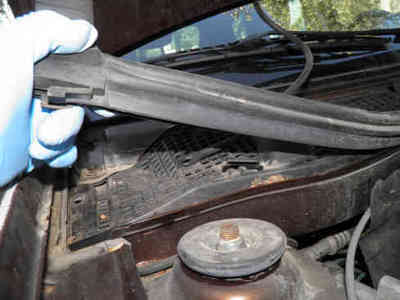 The damaged windshield washer hose has also been replaced with a new one (right). 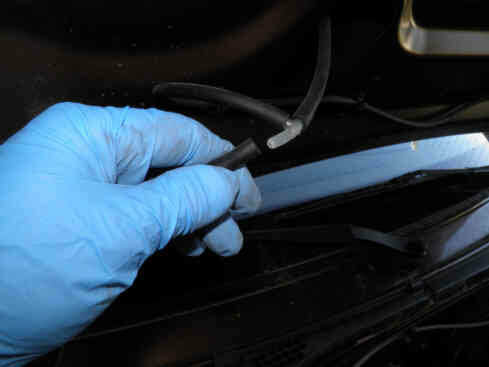 Finally, the windshield washer is tested at both windshield and rear window. 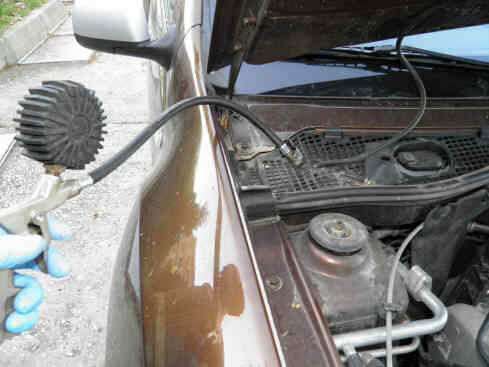 The pump makes its noise again and the washer works fine.